JEFF LYNNE SCORES A HAT-TRICK! "Man of the moment, Jeff Lynne, celebrates his return with three LP's in the UK Top Ten! "Long Wave" - Jeff’s first solo record in over 20 years - has entered the UK Top Ten album chart at No. #7 [and the Independent chart at Number #1], ELO’s "Mr. Blue Sky", has landed in at No. #8 [and the Independent chart at Number #2]. Both new albums have been released last week on Frontiers Records while "All Over The World - The Very Best of ELO" holds the No. #10 spot for the second week running. 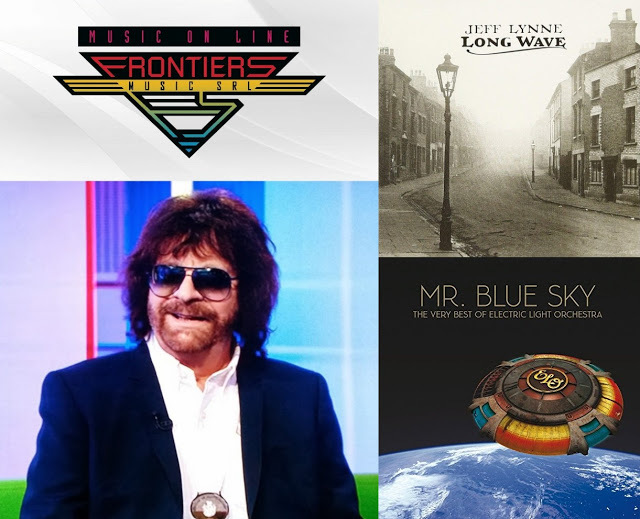 Jeff has been all over the small screen with the UK TV debut of: "Mr. Blue Sky: The Story Of Jeff Lynne and ELO" documentary airing as part of BBC Four's 'Jeff Lynne Night' and other appearances including BBC Breakfast. Jeff will appear on Ken Bruce’s Radio 2 show: The Tracks Of My Years, Monday 22nd October. Jeff Lynne and ELO's albums have [also] entered in Europe in the national album charts in the Sweden, Netherlands, Germany and Denmark."